Is Your Company Ready for Public Access to Your Workplace Injuries and OSHA’s Oversight of Retaliation Protections? Earlier this year the Occupational Health and Safety Administration (OSHA) published a new rule that attempts to shame employers into lowering workplace injuries and gives OSHA much broader discretion to regulate retaliation by employers. The rule’s new requirements take effect in the coming months. Beginning in 2017, OSHA will require certain employers to electronically submit portions of the workplace injury and illness data that they are currently required to keep to OSHA. Even worse, parts of these submissions, including the identity of the employer and the amount and types of injuries sustained by the employees, can be publically posted to the OSHA website. Under the current rule (at 29 CFR 1904), there was no requirement for automatic submissions to OSHA or for establishment-specific public disclosure, electronic or otherwise. all establishments must electronically submit information from their recordkeeping forms upon written notification from OSHA. Although the rule takes effect on January 1, 2017, compliance is phased. For establishments with 250 or more employees, only Form 300A (from 2016) must be submitted in the first year by July 1, 2017. In the following year, this group of establishments must submit all three of their 2017 forms (Form 300, 300A, and 301) by July 1, 2018. The smaller establishments with between 20 and 249 employees, which are only required to submit Form 300A, have a submission deadline of July 1, 2017 and July 1, 2018, respectively, for the first two years of compliance. Beginning in 2019, the submission deadline for all regulated establishments will be March 2, not July 1. The new rule also incorporates anti-retaliation provisions, enforcement of which has been delayed from November 1, 2016 to December 1, 2016 due to pending litigation in federal court that challenges the new provisions. See TEXO ABC/AGC Inc. v. Perez, No. 3:16-cv-01998-D (N.D. Tex.). This new rule contains three requirements. First, employers are required to inform their employees about their right to report workplace injuries and illnesses free from retaliation, as opposed to merely informing employees of the procedures for reporting workplace injuries and illnesses which was a requirement under the previous rule. Second, employers must adopt a reasonable procedure for reporting work-related injuries and illness that does not deter employees from reporting. 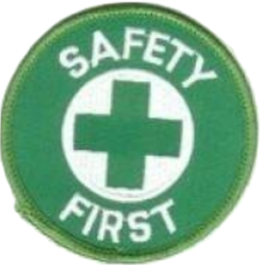 Procedures may be deemed unreasonable under the new rule if they require, for example, immediate reporting without accounting for exceptions for injuries or illnesses that build up over time, or post-incident drug testing where there is no reasonable possibility that drug use contributed to the injury. Finally, the rule incorporates the statutory prohibition (at 29 U.S.C. § 660) on employer retaliation against employees for reporting workplace injuries and illnesses. As OSHA directs in its commentary, this new provision provides OSHA an additional enforcement tool for ensuring accuracy of work-related injury and illness records. Under the old regime, OSHA had to rely on employees to file complaints on their own behalf before instituting action. Now, regardless of whether an employee has filed a complaint pursuant to the existing statutory directive, OSHA can take its own initiative to (a) issue citations to employers for retaliating against employees for reporting work-related injuries and illness and (b) require abatement of the violation (i.e., require the employer to eliminate the source of the retaliation and make whole the “retaliated-against” employee). Giving OSHA the total power to institute enforcement measures on its own accord takes any predictability out of the regulations and gives employers little leeway to develop its own workable and tailored protocols. Clearly, the outcome of the pending litigation over these anti-retaliation provisions will be something to look out for over the coming months. OSHA is touting the rule as one which will “nudge” employers to take more safety precautions. OSHA believes the new rule will give employers the ability to compare their injury data with other businesses in their industry and provide researchers with access to data to further their research in workplace injury. Speculations aside, one thing is for certain—the new rule will create additional headaches for businesses dealing with workplace injuries. Businesses will now have to fear possible targeted investigation by OSHA if they have a higher injury rate and prepare for negative backlash from potential employees and potential investors. Employers are encouraged to contact legal counsel to ensure their current compliance with OSHA and to put a plan in place to comply with the new rule.